If you're in this position, you've no doubt wondered at some point whether you should rent or buy trade show booths in Nashville. There's no simple answer. Both options have advantages and drawbacks. Below, we'll cover the most important factors to consider so you can choose the option that's best for your company given your constraints. When deciding between renting and owning Nashville trade show booths, matters related to money should be separated into two categories: upfront investment and ongoing costs. 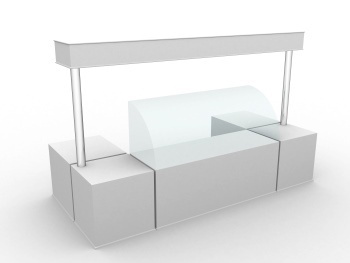 The initial outlay required to rent a booth, whether it's a small portable display or a large island exhibit, will always be smaller than the investment required to own the same structure. This is one of the main reasons event-marketing managers opt for rentals. Doing so poses a lower upfront cost. But it's important to consider the ongoing costs associated with using rentals throughout the year. If you exhibit at several shows, the cumulative rental fees may outstrip the cost of ownership, even when factoring in fees related to storage, maintenance, insurance, and refurbishment. Bottom line: review your budget and event marketing calendar before deciding whether to rent or buy. Some trade show marketing houses offer a full range of attention-grabbing displays that are available as rentals. They make it easy to choose configurations that are consistent with the image you want to present. Moreover, they'll help you to create customized banners and graphics that highlight your brand. Of course, not all exhibit houses are as well stocked with rentals. Many offer a limited range of properties, most of which are likely to fall short in terms of supporting your brand. If you decide to rent, work with an experienced partner that can provide the options you need. The above doesn't even touch on matters related to insurance, repairs, and maintenance. One of the “costs” of ownership is that you'll need to address these matters on your own. When you rent trade show booths in Nashville, you can sidestep all of the above tasks. The partner you choose can manage the entire program, doing the heavy lifting for you. If flexibility is important to you, nothing beats a rental. You can adjust the size of your company's footprint at a particular show given the audience you expect to attend. You can accommodate changes in booth space from event to event. 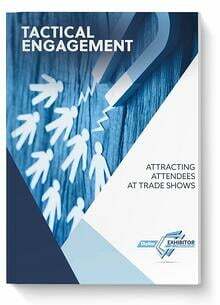 You can exhibit with different layouts, designing a customized traffic flow path to optimize visitor engagement and lead generation. This level of flexibility isn't feasible when you own an exhibit. Making changes to pursue show-specific goals or accommodate variable space constraints requires a costly redesign. This, of course, isn't a concern if you intend to use the same exhibit at every show. But if you need flexibility, rental properties pose a better option. There's no single answer to the question of whether to rent or buy your trade show booths. 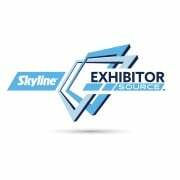 The Nashville office of Skyline Exhibitor Source can help you decide based on your unique circumstances. Our team of exhibiting experts can show you a large portfolio of properties, both large and small, available for rent and for purchase. Contact us today to choose an option that ensures your next show is a big success.